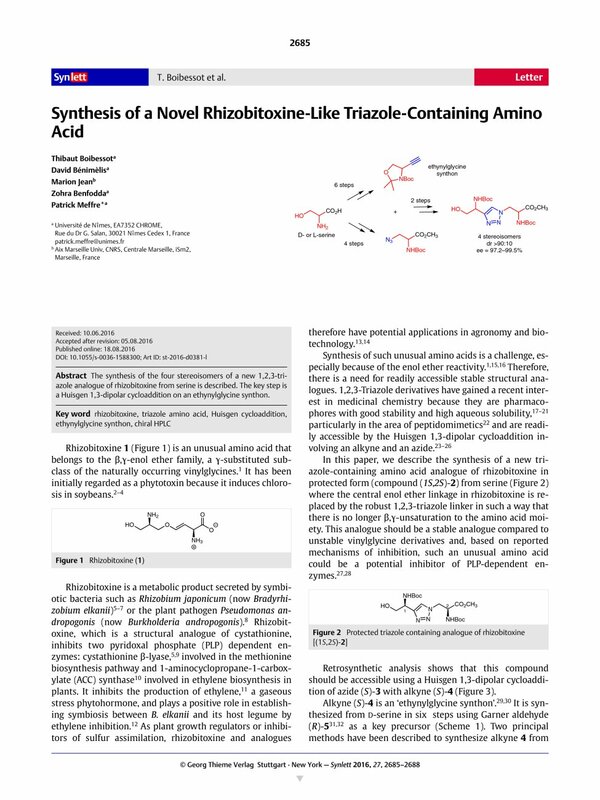 The synthesis of the four stereoisomers of a new 1,2,3-triazole analogue of rhizobitoxine from serine is described. The key step is a Huisgen 1,3-dipolar cycloaddition on an ethynylglycine synthon. Supporting information for this article is available online at http://dx.doi.org/10.1055/s-0036-1588300.